Singer and new Mother of one, Cardi B has threatened to drop her baby and fight a non-supporter during a misunderstanding online. The misunderstanding was between a fan of Nicki Minaj, a fan of Cardi B and her sister Hennessy. The Nicki fan and Cardi B kept going back on forth, calling each other out, while Hennessy stepped in every now and then to defend her sister. 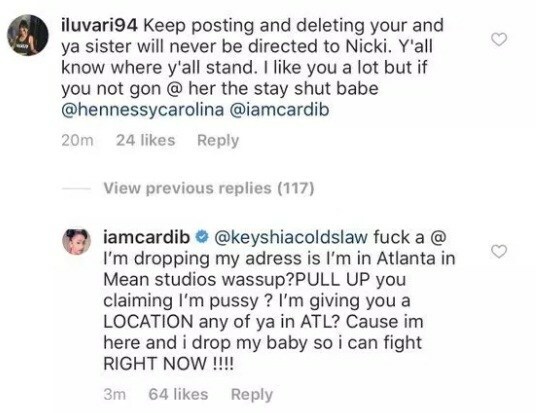 Then things got out of hand and Cardi B dropped her address in Atlanta, then invited the follower to come and fight in person. 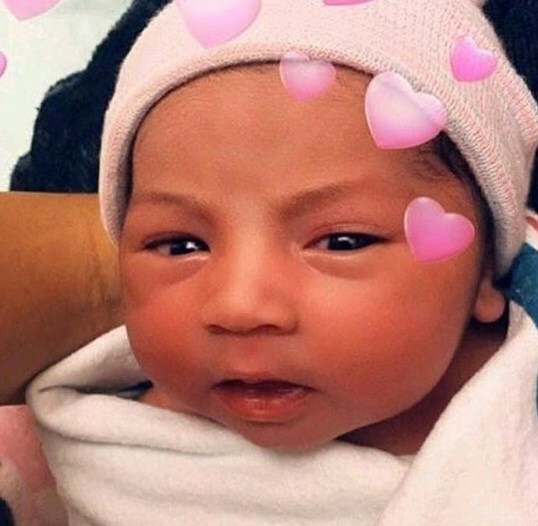 Cardi, who welcomed a baby only 1 month ago, threatened the follower and informed her that she will “drop” baby Kulture to fight her “right now”.